Epicenter in a recently activated fault on the Baja California Peninsula. Very shallow, but in an unpopulated area. 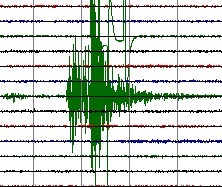 Earthquake at a moderate depth near Kunes, Tibet. Update 17:26 UTC : 10 houses badly damaged in San Clemente. The Civil Defense is still receiving reports of some other areas, but San Clemente has been hit the worst so far. People have been evacuated from these houses as are uninhabitable. Earthquake Report did not trust the earthquake after it happened because of the Magnitude and the poor construction of some houses. A very powerful but luckily rather deep earthquake did strike the Peru coast near Chincha Alta. 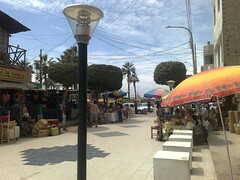 The earthquake was felt as far as Lima. The felt reports from USGS are reporting a Mercalli value of IV to V directly in the epicenter area = light to moderate shaking. The theoretical Mercalli values from the USGS shaking map (see below) were calculated as V to VI near Chincha Alta = moderate to strong shaking. The earthquake happened in the middle of the Peruvian night at 3 AM. 417,000 people are living within a radius of 50 km from the epicenter. Due to the depth, millions of people will have felt the tremor, but a lot of them will have trough it. GDACS Issues a GREEN earthquake report after the earthquake = very limited chance on injuries and damage. The same earthquake at a depth of 20 km would have been a totally different experience.